Sail through the mysterious water underground of the Old Town! We leave every 15 minutes! Those who are willing to take a few more steps down to the places where the former first stone bridge was standing can enjoy an extraordinary experience. The spaces that hide the old Romanesque Prague sites are very often unknown even to the locals. Our guests sail from the wharf in the unique water underground of the Old Town to unknown and mysterious parts of the city of Prague and through the last standing arch of the Judith Bridge from the year 1169. 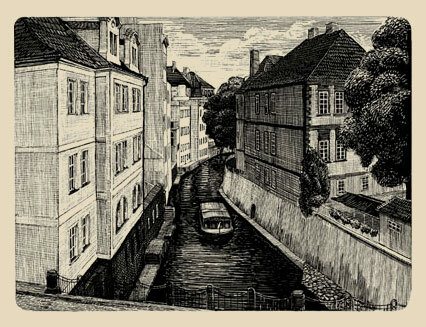 For greater comfort of our esteemed clients, our company was bold to build several wharfs, placed conveniently alongside the River Vltava, and it is fully at the will of each worthy client which one he pleases to choose, without any alteration of his sightseeing cruise. And what are the wonders that the traveller may behold? Here we present a selection of the most precious architectonic jewels as well as other gems, glorified by legends and enjoying general acclaim, which one can see only and solely with our boating company. The first of these are original and so far unseen views of the well-known panorama of the Prague Castle, the seat of the Kings of Bohemia, which, when observed from the river, seem even more royal and noble than an ordinary pedestrian may see them. From all possible angles, the beauties of the noble work of Emperor Charles IV are revealed – the bridge which his faithful master-builder Peter Parler vaulted over the river. The construction of our boats, which faces no obstacles in the river, allows you to observe also the so-called zero arch, which is completely hidden from the sight of pedestrians. 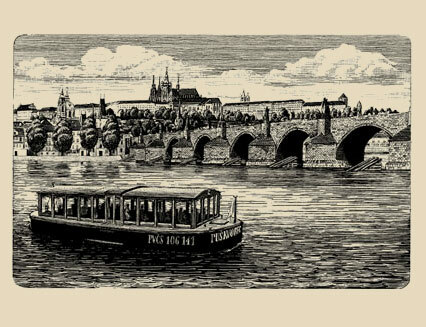 And a veritable feast for the eye of the connoisseur and admirer of Czech culture and famous history is sailing underneath the last extant arch of Judith Bridge, the worthy predecessor of Charles Bridge. This wholly unique spot is now completely hidden underneath Křížovnické square, known only by genuine experts on Prague topography. Exchange the ticket for the ticket according to your preferred time at the Charles Bridge Museum. We leave every 15 minutes. Child up to 6 years accompanied by parents free of charge.